The threats of water scarcity and insecurity are imminent in the Maghreb region. Population growth, urbanization, climate change, poor water management, and soil contamination are severely affecting water supplies and endangering community livelihoods. The engineering of a new water approach appears to be crucial to reduce social vulnerabilities, secure safe water supplies, and ensure water security in the region. But this does not seem to be solely the job of governments. In an already ecologically fragile Maghreb region, a collaborative action is urgently required to address water scarcity and contamination risks. Any action to protect water resources in the region seems to necessitate the involvement of both private and public businesses as they are using about 10% of water resources and are partly responsible for water contamination. Their action needs to be redirected to strike a balance between business promotions on the one hand, and water protection and risk reduction on the other. Corporate social responsibility (CSR) is about risk management. This paper illustrates the water risks with which the Maghreb region is concerned and draws attention to the contribution of CSR to water conservation and pollution risk reduction. It examines whether the involvement of the business sector can abate the threats of water deterioration in the region. It further seeks to know how CSR could allocate resources to positively and effectively impact the use of valuable water resources, control water contamination risks, and sustain water resource management. 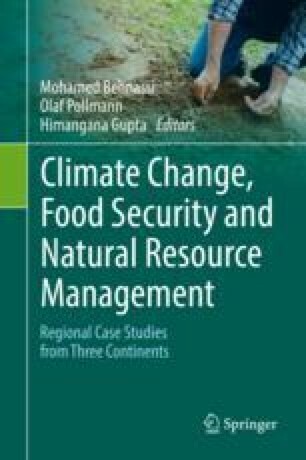 The aim of this paper is to formulate a new approach capable of combating water scarcity and degradation, containing future water risks, and ensuring water security for the region’s populations. Elkington J. (1994). Towards the sustainable corporation: Win-win-win business strategies for sustainable development. California Management Review, 36(2), 90–100. Available from: https://doi.org/10.2307/41165746. Water Academy. (2004). The cost of meeting the Johannesburg targets for drinking water. Available from: Water-academy.org. 22/06/2004.